Every "Single" Need Covered at the Singular Santiago! 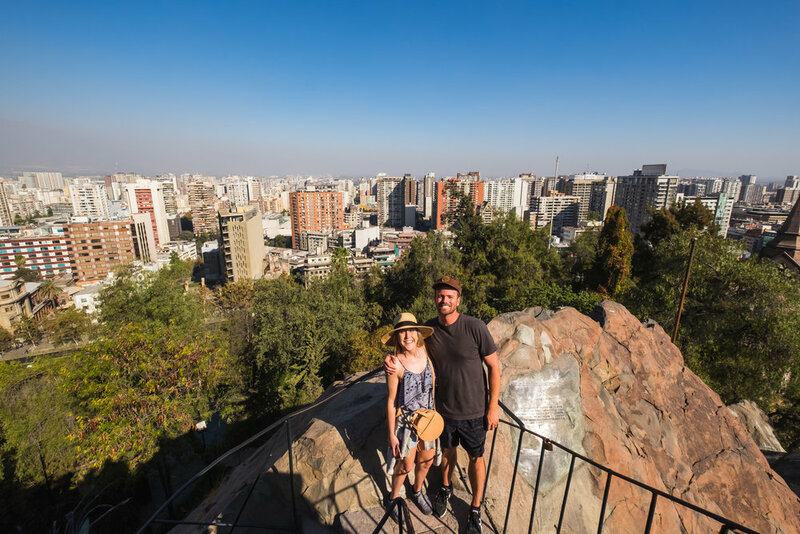 Since our trip to South America with LATAM airlines, one of the questions we’ve gotten most frequently is about where we stayed in Santiago, Chile. Planning a trip to South America can be overwhelming (there’s just too much to see! ), but choosing where to stay in each location can be difficult as well. It’s always hard to tell just what you’re getting by a few photos online, and figuring out what area to stay in can be a gamble! Good news, though... we’re highly convinced we stayed at one of the best hotels in Santiago: The Singular. If you’ve been following us for awhile, you’ve probably seen us stay at other LHW properties (12 Apostles and Cape Grace in South Africa, The Tabacon Resort in Costa Rica, The Serena in Uganda, and the Terme di Saturnia in Italy, to name a few). It’s a brand that we’ve come to love and trust - as every LHW has left us completely in awe. 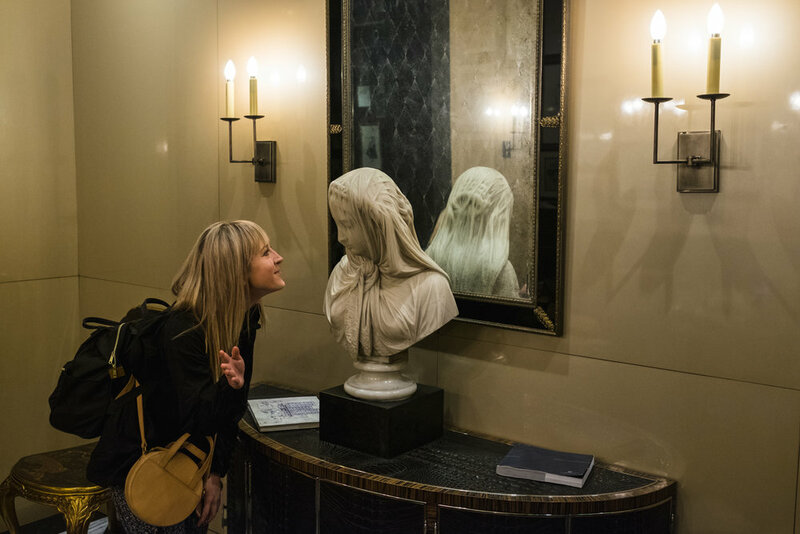 From the award-winning customer service to the luxe rooms and grounds, if it’s a LHW property you know it’s going to be nothing short of incredible. The Singular was of no exception. From the stylish lobby to the spacious rooms and extensive breakfast buffet... it's an absolutely flawless property. The morning we arrived at The Singular Santiago, one of the first things we learned from their staff was that the Singular has the best location in the city. It wasn’t until we went exploring that we realized they weren’t exaggerating - it's in the perfect spot. Located in the Lastarria neighborhood (the perfect urban & artsy mix), it’s walking distance to some of the most scenic parks, most highly rated restaurants, and the best shopping in town. Even the street that the Singular is on was one of our favorites - it had the trendiest little popsicle shop across the street - what more could you want?! The Singular is luxurious, but not stuffy. You don't feel like you are in a St. Regis where everyone is dressed to the nines - a place where we often feel out of our element. The staff is warm and personable, greeting you by name and genuinely caring about how your stay is going. At the same time they are refined and professional - it's five star class without the snootiness. Yes please! The food in itself is a luxury at the Singular (and maybe not so simple). They have Bar Merced, the Restaurant, and their Rooftop Bar (more on that below). Bar Merced has a super cozy lounge feel, and the wall is decorated with a fascinating collection of art. There you can enjoy craft cocktails and small bites, and you'll probably make friends with the bartender. At the Restaurant, chef Hernán Basso uses local products (specifically delicious seafood), and uses French techniques to create INSANE gastronomic dishes. Come hungry, and enjoy feeling pampered. We LOVE a good rooftop bar. The views, especially at sunset, along with a solid (aka strong) cocktail is a simple way to keep the Traveling Newlyweds happy. The Rooftop Bar at the Singular has sprawling views of the city and great cocktails... we were there every night. Next time we are there we will be sure to make use of the pool as well (it was closed in April) - with a cocktail in hand of course. From the moment we stepped into the charming lobby of The Singular Santiago, we were absolutely blown away. It felt like our cozy, little haven in the middle of a bustling, lively city. The three nights we stayed there flew by, so on our return we’ll definitely come for longer. (And we’ll definitely take advantage of their dreamy spa!) Whether you’re headed to Santiago on your honeymoon or on business, the Singular is THE place to stay. And be forewarned… you won’t want to leave! *If you are headed to Patagonia, the Singular’s sister property is there. It looks every bit as exquisite as The Singular Santiago… You better believe we’re already planning our trip!